Total Capacity - 2GB. Type - DDR3 SDRAM. Shape Systems Ltd was established way back in 1993 using our experience in the mini systems market. Originally we globally supplied HP 9000, 3000 & 1000 systems & Wang to the corporate market, maintenance & dealers. 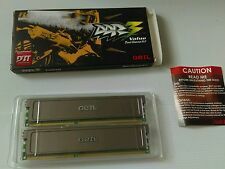 3GB ( 3 X 1GB ) Gold Series Kit. (3 X 1GB) 3GB. DDR3 SDRAM. Product Identifiers. Product Key Features. 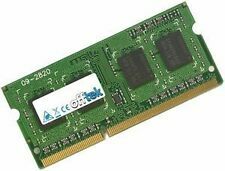 PC3-12800 (DDR3-1600). 240-PIN DDR2 OVERCLOCK KIT. 168-PIN SDRAM DIMM. 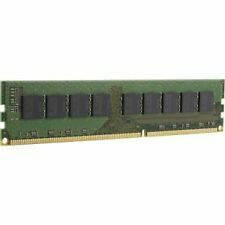 168-PIN SDRAM ECC REG DIMM. 184-PIN DDR DIMM. 184-PIN DDR ECC DIMM KIT. 184-PIN DDR ECC REG DIMM KIT. 240-PIN DDR2 DIMM. 240-PIN DDR3 DIMM. Manufacturer: Kingston. Capacity: 1GB. Type: DDR3 240-PIN. To Fit: Desktop PC. International Orders. Capacity: 2GB (2x1GB). Manufacturer: Kingston. Type: DDR3 240-PIN. International Orders. Rest of the World. Cash on Collection. 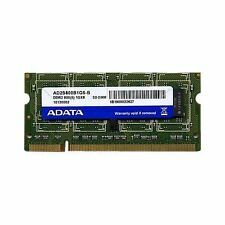 OEM Part Number: 1GB DDR3 12800U 2RX8. Rank: 2RX8. Capacity: 1GB. All of our RAM sticks are tested before dispatch. We are aware that mistakes and problems can always occur but we will endeavour to get any issue resolved as quickly and fairly as possible. DSL SODIMM DDR3 1GB CL7 204 PINS. Installing CD player to an amplifier. Installing a tape cassette deck. My model number isn't listed on the adverts 'compatibility list', will it be compatible?. Do you have more detailed information on this item?. Rest of the World. Cash on Collection. Cheques (Subject to Clearance). The gallery picture is for illustration purposes only. (Related) Part Numbers KHX1600C9D3 / 1 G. CAS Latency CL9. HDD / hard disk drives. MY nufacturer Kingston. Capacity 1GB. The Rams wereprofessionally and extensively tested for performance and compatibility with a special for industrial Ram tests developed test device. (Related) Part Numbers KHX1600C9AD3 / 1 G. Data transfer rate PC3-12800 (12800 MB / s). HDD / hard disk drives. MY nufacturer Kingston. Capacity 1GB. The Rams wereprofessionally and extensively tested for performance and compatibility with a special for industrial Ram tests developed test device. Part Number CM3X1G1600C8D XMS3-1600. MPN CM3X1G1600C8D. Manufacturer Corsair. Form Factor DIMM. Capacity per Module 1GB. Excellent working order. Fully Tested. Make sure this fits by entering your model number.